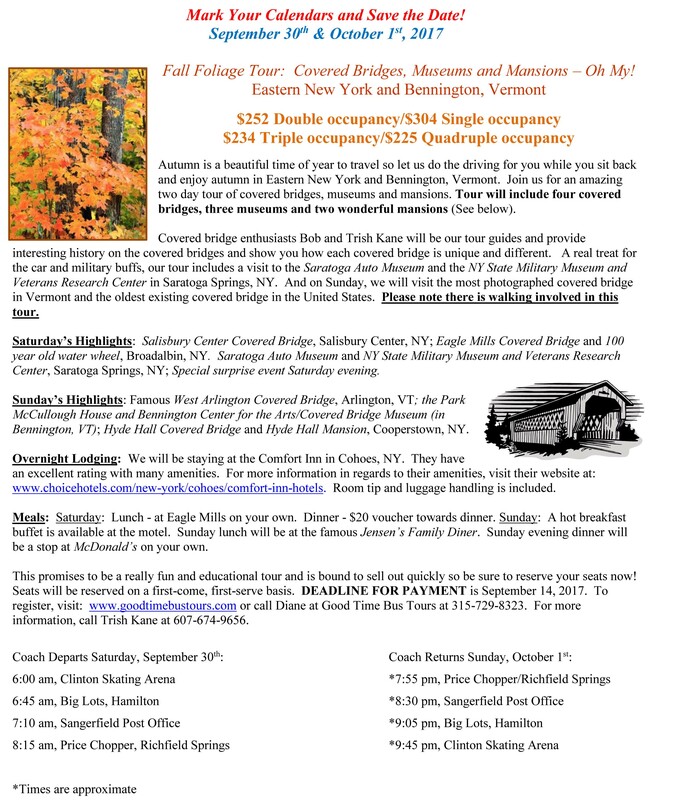 The flyer below provides details regarding an upcoming covered bridge bus tour of eastern New York State and Bennington County, Vermont, on 30 September and 1 October. This tour is a fund-raiser for the Theodore Burr Covered Bridge Resource Center. This unique resource is located in the Oxford Memorial Library in Oxford, New York. Please help to support this very worthwhile cause.